And below is the final verdict. NOTE: “Ethical” to me indicates a piece of clothing that either comes from an ethical brand, or I purchased second hand, or it’s a hand-me-down (so it could be from an unethical brand but I haven’t personally purchased it). Not listed: underwear, sportswear, ski stuff, coats and jackets, shoes. Last year I owned 39 pieces of unethically produced clothes out of 89 pieces of clothing in total. As of today, both numbers went down: 29 out of 48 pieces of clothing I own are unethically produced. In more mathematical terms, I went from 43% to 60% of my entire wardrobe being unethically produced. As bad as this sound, the reason behind these numbers is not me purchasing unethical clothes, but me getting rid of ethical ones. (Although well, I guess I did buy a couple of sweaters from H&M.) 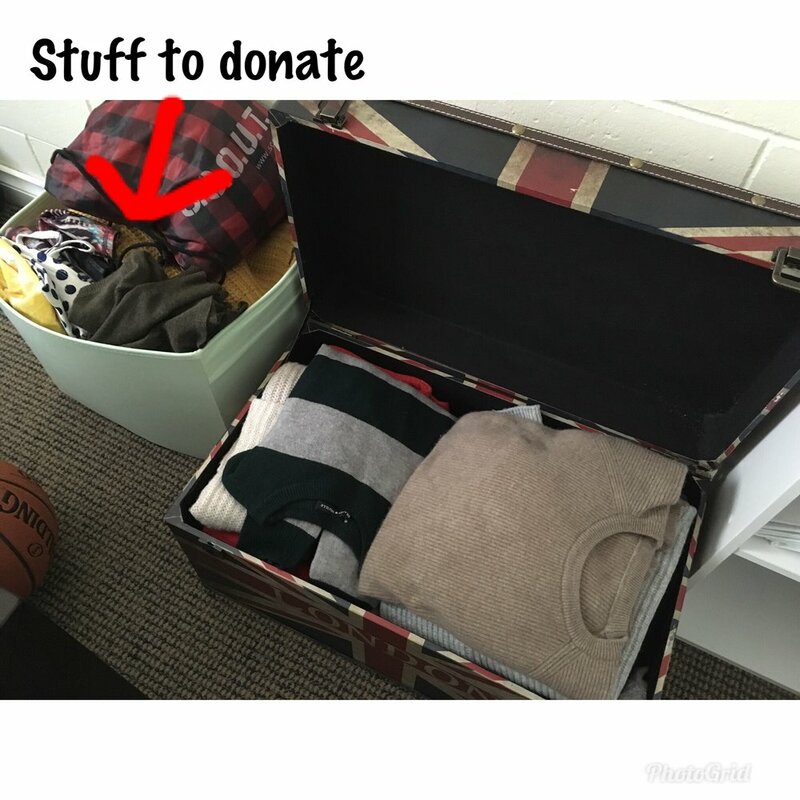 As I went through my decluttering process, I found that lots of items I purchased second hand were not in good conditions or the quality was quite poor, whereas most of my favourite clothes are - alas - from unethical brands. I don’t want to keep something just because it’s second hand, I’d rather stick to the clothes I love most until they last, and purchase second-hand replacements only when the original ones are falling apart. All in all, I’m happy about my wardrobe now: I have everything I need, and everything I have I love.I don’t have any desire to buy new clothes nor to let go of anything (except a couple of things that are already in my “Maybe” pile). It took me years to get to this point, and it might not be the more sustainable collections of clothes ever, but it is the best I have ever done, so perhaps it means I can stop spending hours in my closet getting rid of stuff. Success!